it's a new month which means a new wishlist! and this time it's neon! the only neon i have are probably my highlighters...but i would love to have any one of these! 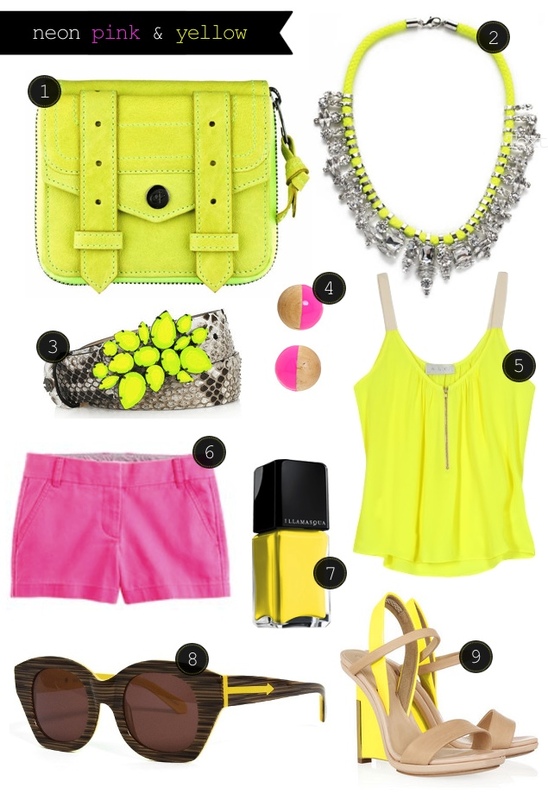 how do you feel about the neon trend? yay? nay? PS~To see this trend in interior design, Abigail Ahern works magic with neon pink and dark gray.